This chair combines all the essential 1950's elements of Eames' designs. 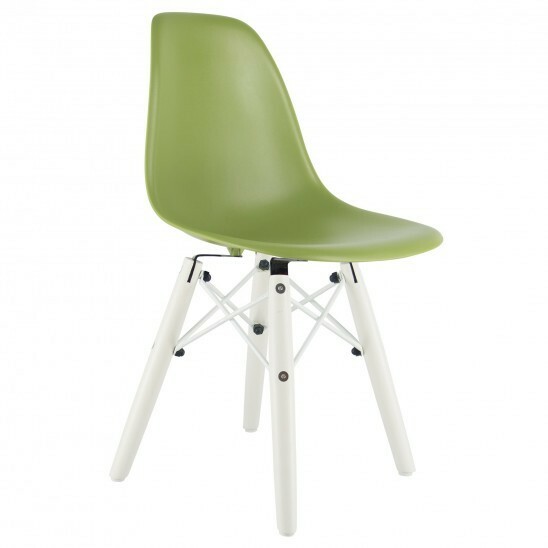 The solid polypropylene seat and wooden legs make this brightly coloured chair ideal for children. A trendy and highly coveted chair that works on all surfaces. Ideal for: Kitchen, living room, waiting room. Other features: Available with or without armrests.